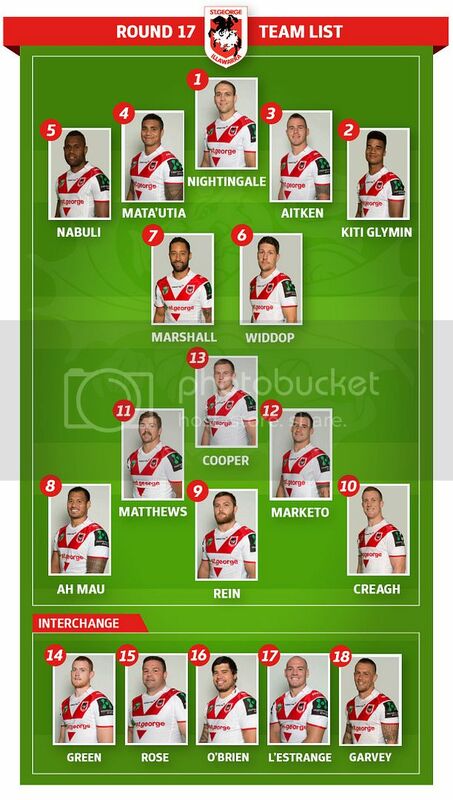 St George Illawarra Dragons winger Yaw Kiti Glymin will make his first-grade debut against the North Queensland Cowboys at WIN Stadium, Wollongong on Saturday. The local Arncliffe Scots junior is a previous graduate of the Club’s National Youth Competition team who has been competing with the Illawarra Cutters in the NSW Cup and has been named on the wing for the fixture. Purchase Your Ticket Now and Save! Head Coach Paul McGregor has named an 18-man squad for the upcoming home fixture which also sees props George Rose and Rory O’Brien as well as second-rower Nathan Green named on an extended five-man interchange. Additionally, Dragons utility Dylan Farrell has been ruled out with a stress reaction in his back and is expected to miss at least four rounds while fullback Jason Nightingale (ankle) will continue to be monitored ahead of the fixture. Furthermore, Dragons second-rower Will Matthews has also been named after pleading ‘Not Guilty’ to the Grade 1 “Dangerous Throw” charge issued by the NRL Match Review Committee on Monday. The Kyogle Turkeys junior will have his Judiciary Hearing at Rugby League Central on Wednesday. Unavailable: Jack de Belin (Virus - Under Observation); Dylan Farrell (Back - Round 20); Tyson Frizell (Back - Under Observation); Dan Hunt (Knee - Season); Joel Thompson (Hamstring - Round 18). The Dragons will be hosting a triple-header of rugby league which will see all three-grades in action at the same venue! The Young Dragons will compete against their Cowboys counterparts in the opening contest before the Illawarra Cutters take to the field against the Wentworthville Magpies in the NSW Cup. Click Here For All The Game Day Information For Round 17!